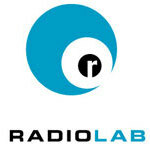 Recently, I’ve been listening to Radio Lab, an NPR show produced by WNYC. It’s really good. It tackles universal themes like morality, consciousness, sleep, and stress, combining human perspectives with plain-english explanations of brain chemistry and neuroscience. Not only is the subject matter cool, the editing is much more dynamic than the average NPR show. It starts with an informal discussion between the producers, and stirs in quotes, ambient sounds, and interview snippets to create an oddly fluid mix. I’ve been downloading past shows from iTunes and radiolab.org. So far, I’m loving them.